Our PhD can be studied on a full-time or part-time basis and will culminate in the completion of a research thesis. Religion including clergy, religious orders, papacy, cult of saints, sermons and theology, canon law, Islamic institutions of learning, Jewish cultural history and Jewish-Christian relations and mysticism. Literature including Late Medieval Italian and Renaissance (including lyric and political writing), Latin and Anglo-Latin, Old English, Anglo-Norman, Middle English, Arthurian Literature, Middle High German, Old Norse (including mythology), Old and Middle French. Culture including courtly culture, heraldry and trans-cultural encounters. Society including food, gender, medicine and animal studies. Language including Latin and the vernaculars, translation and communication. Material culture including art, architecture, manuscripts, coins and numismatics. Medievalism including post-medieval reception of medieval texts, middle ages in film and medieval themes in games. War including warfare, crusades, tournaments, arms and armour. Geographical including Scandinavia, England and Scotland, German-speaking lands, Baltic, East-Central Europe, Southern Italy and Sicily, Mediterranean, Iberia, Middle East, frontiers and boarders of medieval Europe. We also cover many of these themes across the medieval period. 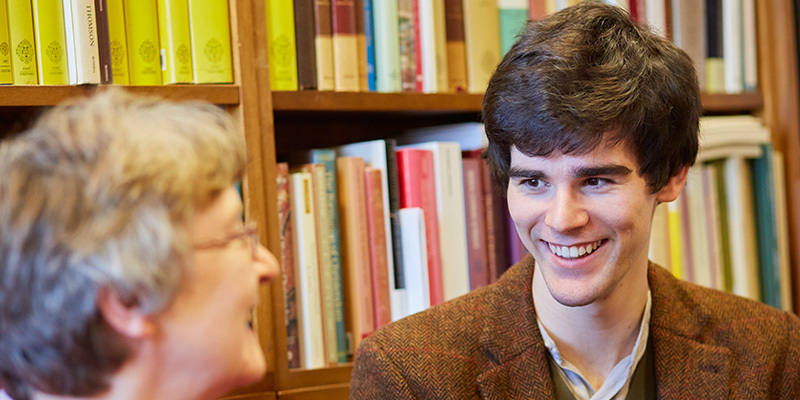 Search for a supervisor and see the expertise of our academic staff in our staff profiles. We would strongly encourage you to contact the Director of the IMS in the first instance, before applying, for advice on areas of supervision available in the IMS. Your PhD will usually take 3 years (or 6 years for part-time students), and during your first year you will develop important foundation skills and knowledge to prepare you for undertaking doctoral-level research. Therefore, a unique aspect of our PhD course is that you will take a number of taught modules at the start of your study. This helps us to ensure you are fully prepared for undertaking your research and that you have received training in techniques you may need for developing your thesis. You will also take a non-assessed module in a foreign language relevant to your area of research. Your first year will also focus on shaping a plan for your thesis and your PhD supervisors will work closely with you to provide bibliographical and methodological guidance. In the subsequent years, you will continue conducting your research under the guidance of your supervisors. Each year you will present an annual paper on your progress at a research seminar held by the Institute for Medieval Studies. This is a great opportunity to gain experience of presenting papers and is also an opportunity to share your work with academics and fellow students from across the Institute. You will also be encouraged to seek out opportunities to present papers at national and international conferences in order to further develop your experience of academic research.